Nigel Williams-Goss, Gonzaga guard by way of transfer from the University of Washington, understands what all the fuss is about. Not so much back then, after Washington’s disappointing 16-15 campaign in 2015, when he was pondering his future and watching an exodus of players from the Husky program. 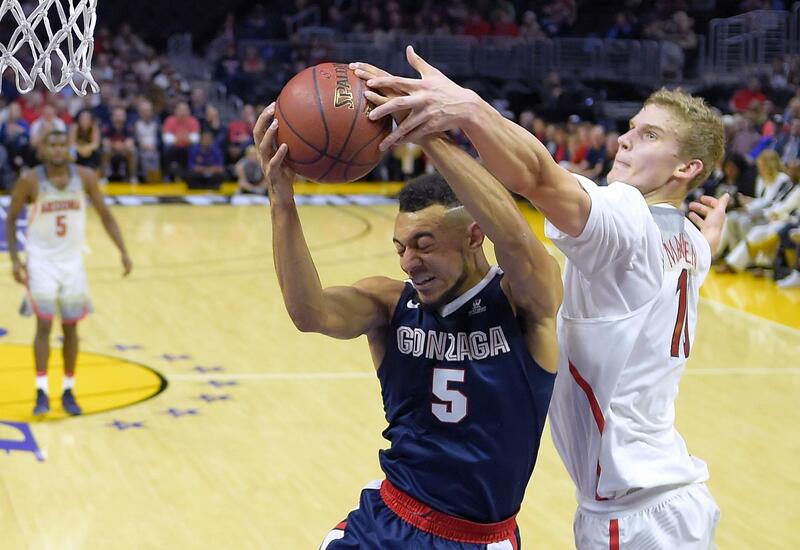 Williams-Goss didn’t know the full extent of the GU-UW rivalry – which resumed last year in the Bahamas and continues Wednesday at the McCarthey Athletic Center – before committing to Gonzaga. Social media and the general public filled him in on details of the rivalry. “That’s the first time it was really brought to my attention, the rivalry and how long it dated back,” said Williams-Goss, adding it wouldn’t have impacted his decision. “I kind of looked at it you were going to have half the people upset and the other half, Gonzaga fans, that were super happy I came here. Williams-Goss has been up front about his reasons for leaving Washington, citing concerns about player turnover, direction of the program, game preparation and individual development. Washington’s 2015 squad started off 11-0 and reached No. 13 in the rankings, but a home loss to Stony Brook launched a four-game losing streak. Injuries mounted and center Robert Upshaw was dismissed for violating team rules. The Huskies stumbled to a 5-13 Pac-12 record. Four players, including Williams-Goss, eventually transferred and assistant coach T.J. Otzelberger left for Iowa State. “A ton of changes,” said Williams-Goss, who visited UNLV and Providence. He called off a trip to Ohio State after committing to the Zags in May 2015. UW coach Lorenzo Romar told Seattle-area media earlier this week that he thought Williams-Goss was considering entering the NBA draft. “I was more surprised that he transferred,” said Romar, who didn’t put restrictions on Williams-Goss’s transfer options. “It didn’t matter what school he went to. I knew he had talked a lot about going to the NBA, but when he decided not to do that, he transferred. Williams-Goss’s transition has been fairly seamless, assisted by a redshirt year to practice, work on his game and learn Gonzaga’s system. He has scored in double figures in seven of eight games. He hit six 3-pointers in a win over Iowa State in the AdvoCare Invitational championship game in Orlando, Florida. He scored two key baskets late in Saturday’s 69-62 win over Arizona. He’s averaging 12.5 points and leads the team with 37 assists and 14 steals. His 42 rebounds are just four less than co-team leaders Przemek Karnowski and Zach Collins. Published: Dec. 6, 2016, 11:31 p.m.